Another positive update was issued this week for the exploration work ongoing by Globex Mining Enterprises Inc. (TSX: GMX – $0.29 & OTCQX: GLBXF – $0.25 & Fra: G1MN – €0.18) at the Francoeur/Arntfield Mines property in Quebec. The majority of Globex’s exploration activity on this property had concentrated on the newly defined “South Gold Zone”, focusing on a structural feature that Globex discovered that parallels the nearby Wasa fault which is associated with gold deposits throughout the strike length of the property and beyond. However, recent investigation of an area located 450 meters further to the south has led to the exciting discovery of an entirely new gold bearing structure. This area has subsequently been dubbed the “450 Gold Zone”. The initial mapping and prospecting earlier this summer of this area included the collection of grab samples. Assay results of up to 14.16 g/t Au confirmed multiple attractive gold values suggesting potential areas of gold bearing outcrop beneath shallow overburden was nearby. 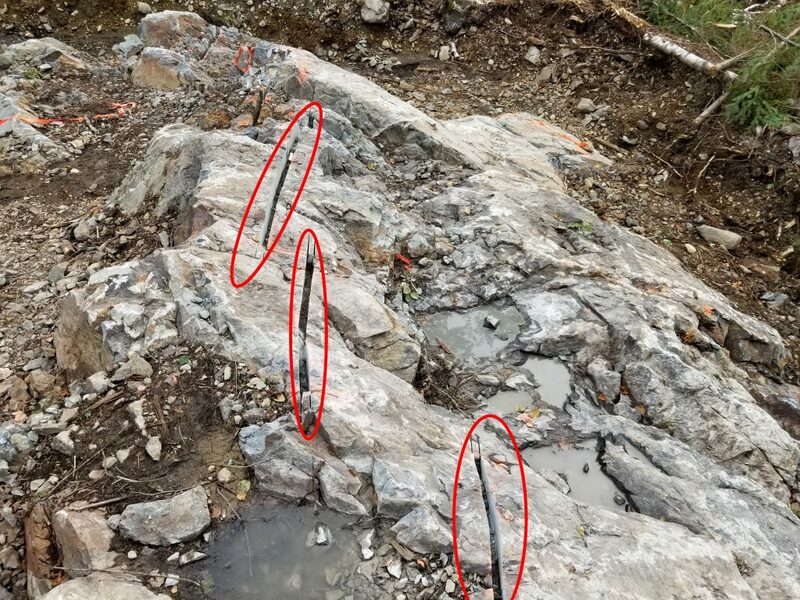 A follow up channel sampling program was therefore completed following stripping of the overburden and pressure washing in the area to expose bedrock, where promising structural features were uncovered. A series of areas were channel sampled over one meter intervals and submitted for gold assaying. Of these channel samples, the #10 and #12 stripped areas produced the best results. The #10 area, stripped from overburden and pressure washed to expose the bedrock. The results from the first batch of samples from stripped area #10 was reported recently, as Globex announced assay data for several strings of adjacent and continuous north-south samples of one-meter length each. The assays confirmed the presence of gold in the western most channel sample string, with an average of 7.04 g/t gold across a 9.5m interval. The highest grade sample encountered in this string of channel samples assayed 32.67 g/t gold. Three other continuous sets of north-south channel samples over an east-west strike length of 26 m were combined to piece together long intervals with attractive gold grades. These included a section of 5.4m with an average of 6.68 g/t gold (highest gold value 31.13 g/t over 1m), 4.90 m bearing 2.08 g/t gold and another section of 5.05m bearing 4.34 g/t gold (highest gold value 12.1g/t) all from the #10 stripped area. The clearly cut channel samples at area #10. Within the #12 stripped area, located about 200 meters further to the east, a separate mineralized structure was identified. Assays from this section included intervals of 3.5m bearing 4.47 g/t gold and 1.85 m bearing 3.77 g/t gold. These results are very encouraging, highlighting the potential that a new under explored gold area may have been defined. The distribution of grab samples also indicates the potential that other gold bearing structures may be uncovered in the area as more work is completed. It should be noted that the many cases the channel sampling ended where the depth of overburden increased such that it prevented stripping and thus channel sampling of bedrock at the ends of many channel sample strings.. The gold encountered at the ends of many of these channel samples suggests that additional gold mineralization may be encountered further along both strike and width of the zone if stripping had exposed additional outcrop for sampling. Therefore the potential extension of this new zone may be much greater than even the excellent results reported from the first channel sampling. The next stage of exploration for this newly discovered “450 Gold Zone” is likely a geophysical surveying using the Induced Polarization method, to gain information on the structural features of the zone. This in turn will assist with the definition of drill targets. Globex hopes to complete this work later this year. This added value proposition was validated by the decision of the Company to purchase another of the outstanding royalties held against the Francoeur/Arntfield property. Globex has repurchased the 2% NSR held by a third party over the Arntfield Gold Mines portions of the project area. This follows the decision to purchase another similar royalty amounting to 1.5% held over the Francoeur Gold Mines portion of the property, as had been previously reported by the Company. One small, limited royalty on the Francoeur portion of the project remains outstanding. The potential value of such a royalty is best illustrated by the recurring revenues payable to Globex from Nyrstar, as a result of the retained royalty held against the producing Mid-Tennessee Mines Project. This week Globex reported the receipt of another monthly payment of CDN $131,000 generated from the royalty on zinc output from the mines. Royalty payments will continue for as long as the mine remains in production, against every pound of zinc produced from this project, and this payment stream is indeed very valuable as the price of zinc continues to support the viability of continuing operations well into the future. The combined payments received by Globex this year from that royalty alone amount to CDN $1,833,844. With this latest update provided by Globex, the Company continues the process of adding value to the project through successful exploration. Starting from the assembly of several individual parcels of land to establish an attractive prospect within a structural corridor of gold mining, Globex then proceeded to outline a significant area with gold potential on the Francoeur/Arntfield Gold Mines property. The Company is now expanding the scope of its efforts to investigate what it has deemed priority areas of the large property, and has been successful in finding further gold bearing areas such as the “South Gold Zone” and the “450 Gold Zone” further to the south. The principal gold structure that localizes the multiple Francoeur and Arntfield gold deposits has yet to be the subject of the focus of Globex and has, as has been proven by previous exploration and production, great potential. Outlining a new gold zone with attractive grades across significant intervals is an achievement in itself and this new discovery is a credit to the project geologists active on behalf of the Company. 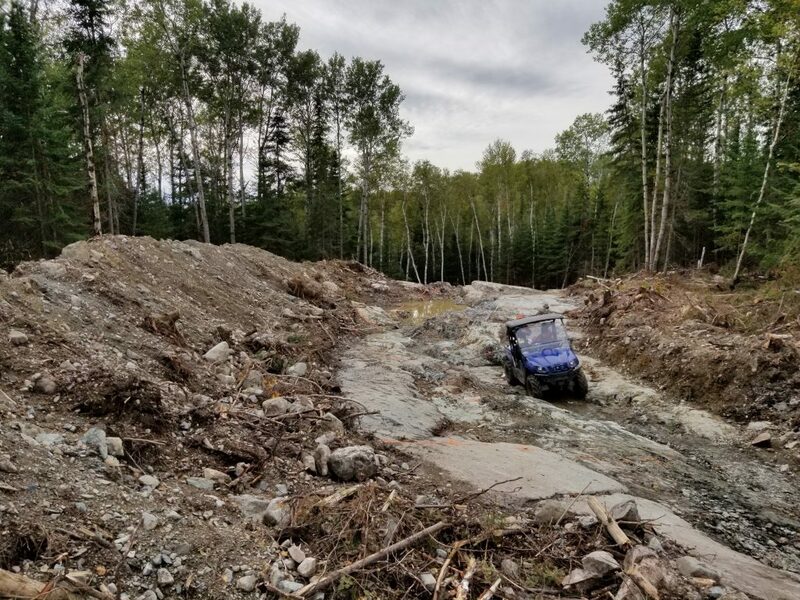 With exploration success at the Francoeur/Arntfield Gold Mines property advancing the project it is important to emphasize that the project is just one of many properties held by the Company. Globex has continued to build intrinsic value for shareholders through positive results achieved at a number of other projects this year. Keep in mind that Globex owns all its 160 or so assets, has no debt, has income and over $4 million dollars principally in cash as well as shares of other companies. Recommendation: BUY.